Air pollution levels remain dangerously high all over e world and according to latest data from WHO, 9 out of 10 people breathe air containing high levels of pollutants. 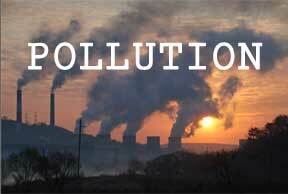 There is an alarming death toll of 7 million people every year caused by ambient and household air pollution. Africa and some of the Western Pacific have a serious lack of air pollution data. For Africa, the database now contains PM measurements for more than twice as many cities as previous versions, however, data was identified for only 8 of 47 countries in the region. WHO estimates that around 7 million people die every year from exposure to fine particles in the polluted air that penetrate deep into the lungs and cardiovascular system, causing diseases including stroke, heart disease, lung cancer, chronic obstructive pulmonary diseases and respiratory infections, including pneumonia. Around 3 billion people – more than 40% of the world’s population – still do not have access to clean cooking fuels and technologies in their homes, the main source of household air pollution. WHO has been monitoring household air pollution for more than a decade and, while the rate of access to clean fuels and technologies is increasing everywhere, improvements are not even keeping pace with population growth in many parts of the world, particularly in sub-Saharan Africa.